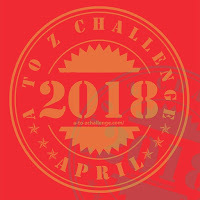 I signed up for Blogging from A-Z again! This will be my fifth (?) year! I definitely have a love/hate relationship with this challenge. 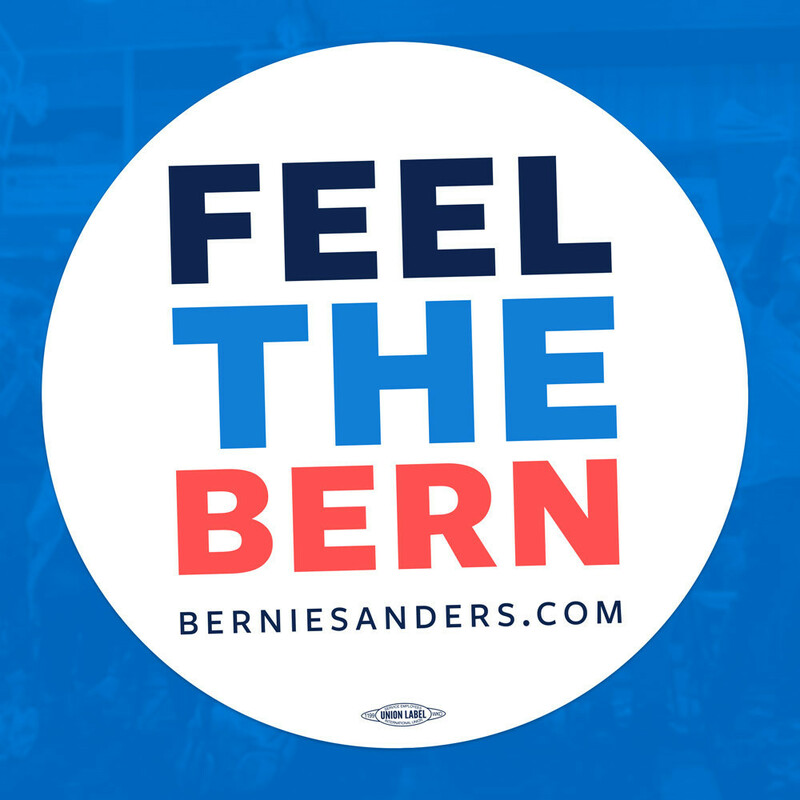 I am pretty psyched to do it when I sign up. The first few days...even the first couple weeks tend to go smoothly. But then, the more difficult letters start creeping up and sometimes it feels like there is nothing to write about! Also every year, I take a trip back to D.C. at the end of April for a charity golf tournament I work on (it's our tenth year - woo hoo! )...I try to write those posts well ahead of time and schedule for posting...but by the last week I am usually stressing myself out trying to get the posts out! haha! Really - this year I am definitely going to be ahead of myself. This year the A-Z theme will focus on my latest venture: Bead-it-Forward! The theme is animals, and between the craft and the submitted animals, I suspect I'll have plenty of subject matter and no problem whatsoever finding a subject to match each letter! It will be fun to highlight some of the fun squares that have come in for the project! 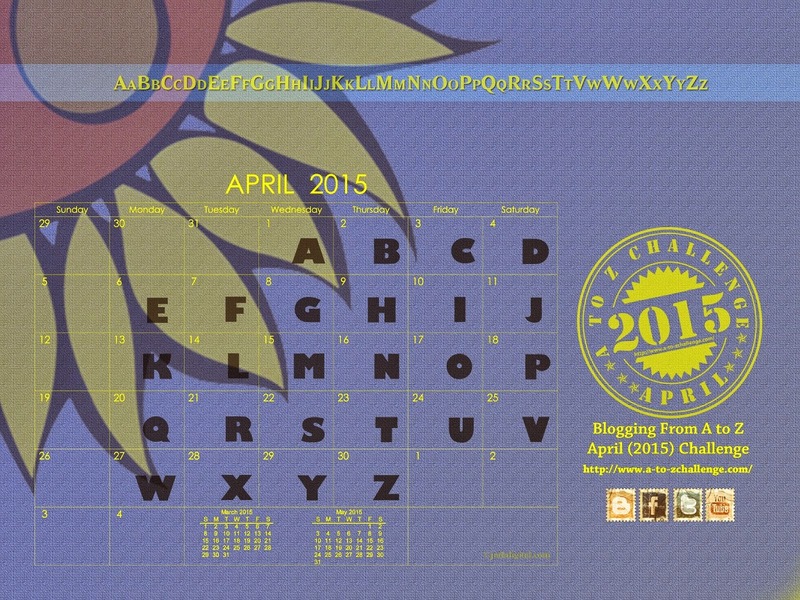 Blogging from A-Z has over 1100 participants this year. If you visit the participant list, some have a category designation (mine is CR for craft). It's a great way to find new blogs/friends that share your interest, or to find something new! Click here for a list of participants for today's theme reveal blogfest! 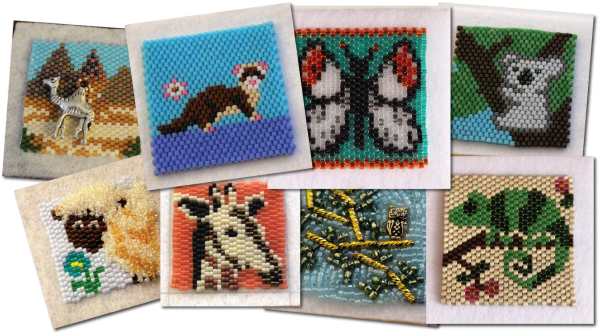 Wow, those are wonderful bead squares. It's a great theme, a great project and I look forward to seeing your posts about it. Those beaded animals are adorable! I have a cousin who makes beautiful beaded jewelry. It's fantastic craft. Good luck with the challenge! Wow - this is amazing. I have not heard of this challenge and give you extra kudos for jumping in. Double Wow! Those square are superbly crafted, wow! Am not a very crafty person, unless you count occasional knitting. My second year at A-Z, fifth sounds way cool. Will be checking back to see what you come up with. That's a lot of beads! How heavy must your squares be? Looking forward to your designs. Always nice to meet new bloggers.